Do you like Hapilly Ever After? Share it with your friends. 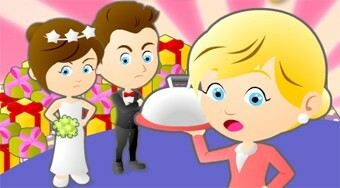 Hapilly Ever After is an excellent virtual job where you will work as an attendant at a wedding reception restaurant. Take gifts from weddings, hand over to honeymooners and take care of the satisfaction of all guests. Serve them according to their wishes and try to earn the required amount of money every day.